I am thrilled to chair a program by Julia Ross at The Commonwealth Club. It’s August 30th at 6:00 p.m.
On our nutrient-poor, narcotic-rich techno-diet, close to 50 percent of us are obese and fully 50 percent of us have been diagnosed with some form of diabetes. Highly pleasurable, addictive and ultra-processed foods also share the blame for our rising cancer rates, including a 12 percent increase in breast cancer. The apocalyptic battle between our fundamental need to eat well to maintain our health and our compulsion to eat poorly to maintain our blissful habits is a silent one. It’s being decided in the microscopic cells that generate pleasure and regulate our appetites by producing powerful neurotransmitters like serotonin, endorphin, and dopamine. Julia Ross asserts that we can win this cellular war if we can strengthen and protect the cells that are now under such heavy assault from drug-like foods. Come hear the story of how Ross and others have been waging and winning this war with the help of a few well-researched nutrients called amino acids. Ross will use case examples to describe how nutritional brain repair stops cravings for even the most bliss-producing commercial food products. Julia Ross is a pioneer in the use of innovative nutritional therapies for the treatment of eating disorders, addictions and mood problems. She is the author of the best-selling books The Mood Cure and The Diet Cure and is now launching her new book, The Craving Cure. 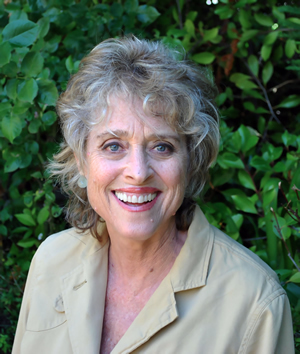 The founder of several integrative treatment programs in the San Francisco Bay area since 1980, Ross now trains and certifies health professionals, lectures widely and oversees an entirely virtual clinic for food cravers. Her work has been featured in publications from Vogue to The Journal of Molecular Psychiatry as well as online and on radio and television. Your Larder Yours Truly as Winery Chef…Join me!